When done with consistent, correct form and safe practice, sit ups are a great way to quickly get stronger abdominal muscles. Sadly, when they are done incorrectly, they are also a fast track to disappointment and bad backs. This guide on how to do sit ups for beginners will tell you everything you need to know to do safe, effective sit ups, and help you get the results you want. Enter We will show you how to do the basic sit up first and discuss how many sit ups you should be doing. 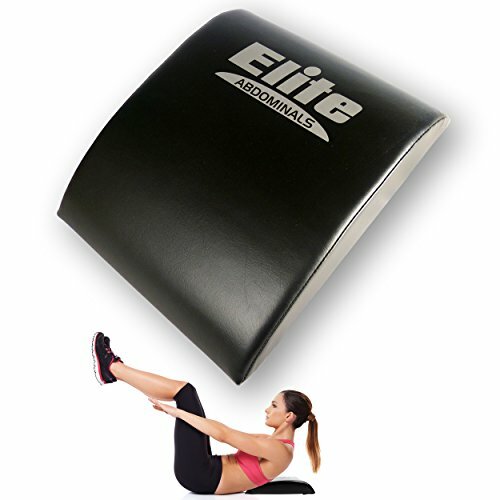 Then we will introduce some great sit up equipment to help you perform your sit ups better. Finally we will show you some advanced sit up techniques to take your ab day to the next level. How Many Sit Ups Should You Do? Step 1 - place a yoga mat, thick towel, or ab mat on the floor. The temptation with sit ups, as with any exercise, is always to do more, more, MORE! You often see people in the gym smashing out sets of 100+ sit ups. While this is admirable, it isn’t necessarily the most effective way to go about things. Yes, you want to increase and progress your sit up workout over time, as progress is the key to muscle growth, but that doesn’t have to mean more and more reps.
With sit ups, the best way to increase the effect is not really by adding more reps, but more resistance. For sit ups, you will never need to do more than 4 sets of 20 reps. Once this becomes easy for you, increase the challenge by trying weighted sit ups, decline sit ups, or adding some of the more advanced sit ups techniques discussed later in this article to your routine. One of the reasons sit ups are so popular, is that they can be done anytime, anywhere, with no equipment. It’s true, you don’t NEED anything other than a floor to do sit ups. 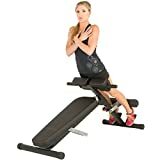 However, there are quite a few types of inexpensive, easy to use exercise equipment for sit ups that will help you to do BETTER sit ups. These can be really useful if you are a beginner, or struggling to get the correct form. Next we’ll explain just a few of your sit up exercise equipment options. Check out the comparison table below for a quick overview, or read on for more details about each piece of equipment. One of the initial issues a lot of beginners have with sit ups is lower back pain, usually around the tailbone, due to the hard floor and poor form. Ab mats are a great, inexpensive way to get around this problem. They offer great sit up back support and comfort, encourage proper form and shape, and help to engage your abs more as you do the exercise. They are a great piece of kit. Floating feet is a common area of difficulty for those new to sit ups. Keeping your feet flat on the floor while you try to concentrate on doing a perfect sit up can be really hard. Beginners often end up lifting their feet, which is poor form and can lead to injury and lack of muscle gain. 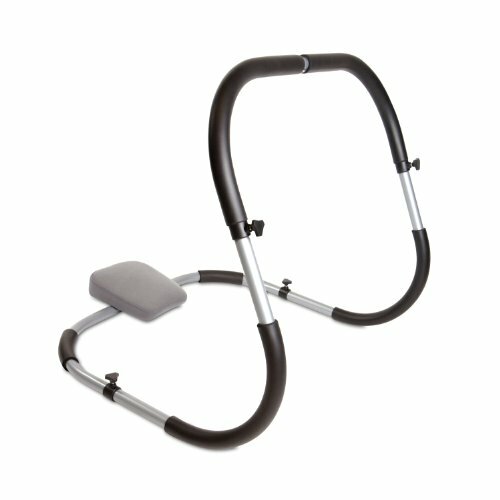 Doorway sit up bars are a sit ups machine that do a great job of helping with this. 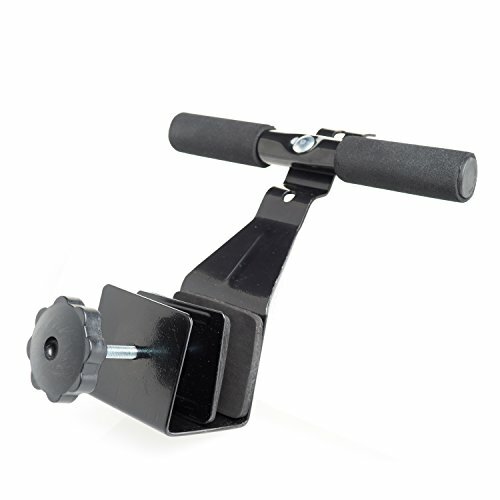 Simply attach one to the bottom of your door, lock your feet under the bars, and you can sit up safely and securely. 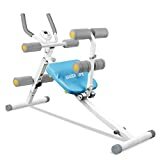 We've reviewed the Wonder Core Smart ab machine before on this site, and we think it is a great piece of kit to help you perform sit ups and other core exercises correctly. 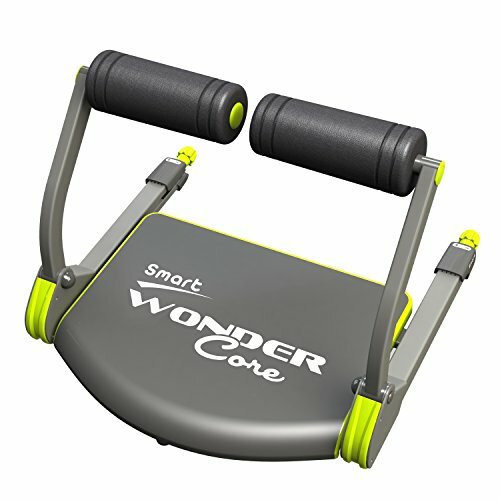 The Wonder Core Smart has what it calls a power assisted rebound system (basically an internal spring) that gives both resistance and support as you perform your core exercises. This is great for beginners who struggle with the correct form, or lack ab power. 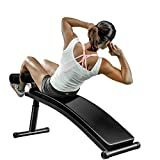 The back support helps you keep form, while the adjustable resistance allows you to start easy, and make the sit up and core routine harder as you get stronger. It can be used for up to 7 different ab and core exercises too, meaning you get a lot of bang for your buck. All of this makes it one of the best ab machines around. You can see how it compares to similar ab machines in our ab machine review post. If you have a bad back and are worried about the toll that doing reps on a hard floor will take, you can try an exercise ball. 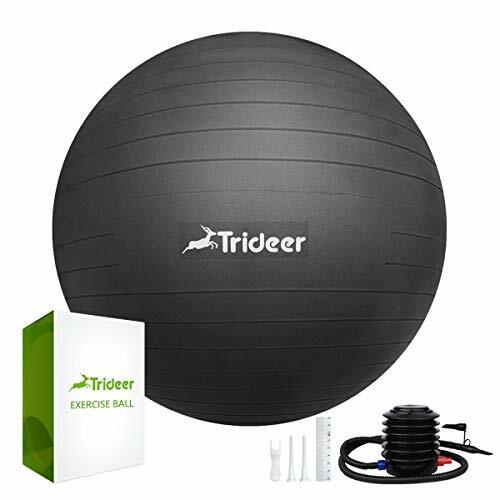 Exercise balls are large, soft, inflatable balls that you can sit on to do various exercises. By performing your sit ups on such a ball, you get great back support and a surface that promotes proper form. Also, because the ball will move around constantly as you workout, you get a ton of engagement of your stabilizer muscles. This wobbling action gives you a much more thorough full body workout than regular sit ups. Additionally, balance balls can be used for hundreds of different exercises, so represent great value for money. 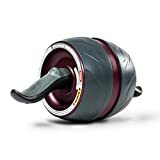 Of all the sit ups exercise machines in existence, the crunch roller is probably one of the most famous and, yes, infamous. A mainstay on late night shopping channels and infomercials, it has picked up a bit of a reputation as a gimmick or gadget that is a waste of money. 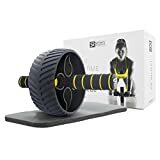 Well, we're here to tell you that crunch rollers are a very useful abs sit ups machine, if used properly and consistently. They promote correct form, give good support to your head and arms, and encourage people who wouldn’t usually think of doing sit ups and crunches to give them a go. We say you can do a lot worse as a beginner than adding one to your home gym. Now you have mastered the basic sit up, it is time to try a few more advanced sit up techniques to take your ab routine to the next level. The following exercises are two of the best sit ups for abs that already have a decent level of strength and fitness. Try them out when you are ready. Step 1 - start in the basic sit up position on the floor, with your feet flat to the floor, hips down, and shoulder blades in contact with the floor. Step 2 - Either place your hands up slightly tucked behind your ears, or cross your arms over your chest, touching the front of your shoulders. Don’t interlock your fingers behind your head. Step 3 - Take a deep breath and squeeze your abs as you raise your torso. As you come up, twist your body to the left, touching your right elbow to your left knee. Step 4 - return to the starting position, and repeat for as many reps as you want or are able to do. Step 5 - repeat the exercise for the other side of your body. Step 1 - start in the basic sit up position on the floor, with your hands either up by your ears or crossed over your chest. Step 2 - spread your legs hip wide, then put the soles of your feet together while keeping your knees apart. Your legs should make a 45 degree V shape if you are doing it right. Step 3 - do a half sit up / crunch by raising your head and shoulders off the floor and squeezing your tummy muscles into your spine. Stop when you reach about 45 degrees or see your knees. Step 4 - Return to the starting position and repeat for as many reps as you need. We hope this guide on how to do sit ups for beginners has been useful to you. Remember, sit ups are a great way to get stronger ab muscles, when they are performed with the correct form. 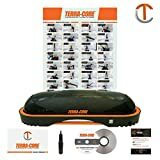 Keep it simple when you are first starting out, and maybe consider getting yourself some equipment to help with your form. Once you have mastered the basic sit up, try adding weights or a couple of more advanced techniques to take your ab workout to the next level. Try to avoid doing endless reps of the same exercise. It’s not really very useful.